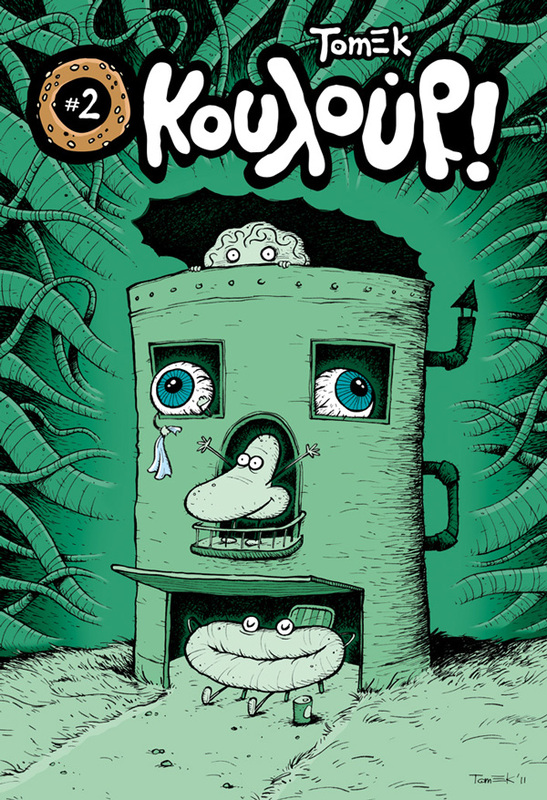 This is the cover of upcoming KOULOURI #2 by Jemma Press. Check for updates, news and ...gossips about it on Facebook as book Koulouri Comics and put some "Like" of course. Thanks και σας περιμένουμε όλους! This is what Greek language looks like to me: rtdfgdejj gkgikifjeuei gukekjdko deiekdkeo. Wish I understood. I LOVE this cover though. Art is the universal language! I understand you perfectly Ted. I felt just like you too, before I learn Greek. Another one exotic language from outer space ...Hahaha! Because the network is global, I always do a translation from below or write directly in English. And I totally agree with you about art.